It’s to be expected that a post about a rock show would have obscenities and explicit content, but in the interest of keeping this blog relatively clean, I’ve edited the post I wrote for my personal blog to post it here as well. 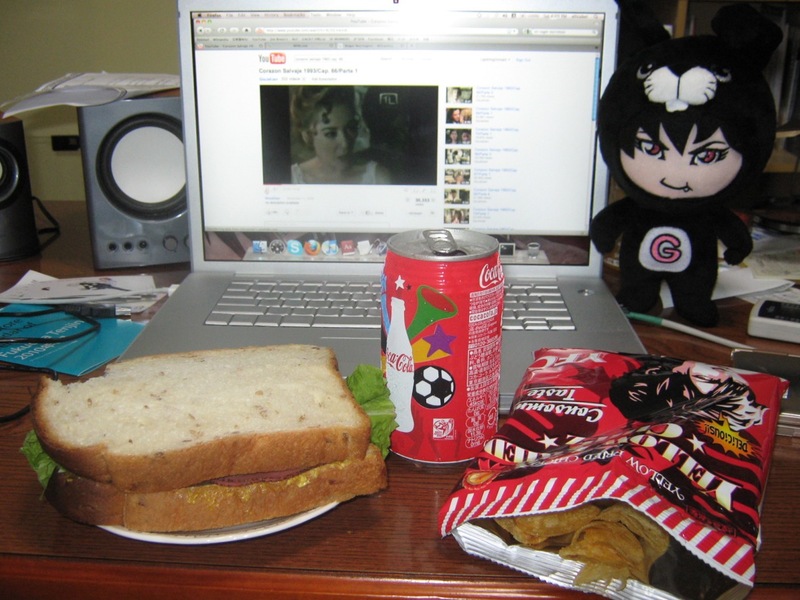 After all, it’s thanks to being on JET that I can finally see GACKT live. So, here we go! 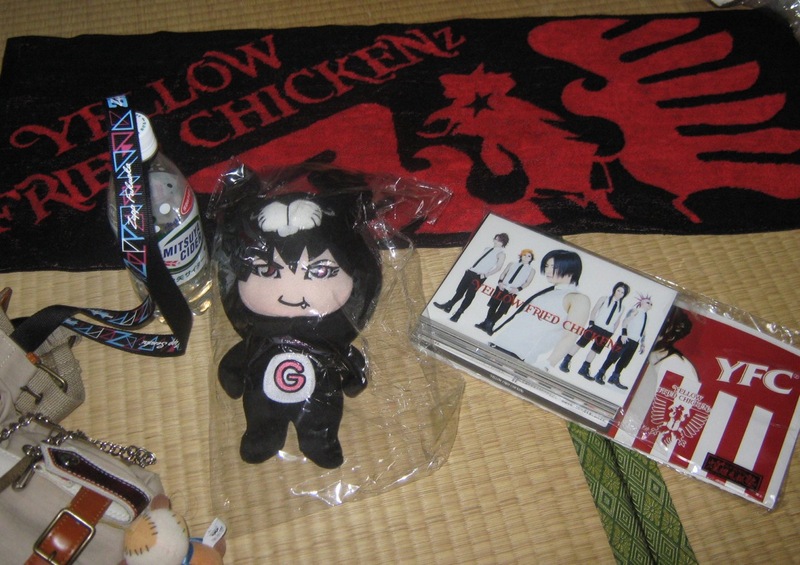 Thursday and Friday I went to see GACKT and his band, YELLOW FRIED CHICKENz, at Zepp Fukuoka. Both shows were great, but Friday’s was noticeably better. There’s too many sights, sounds, and feelings to try to do a chronological telling, so I’ll write in vignettes. As expected, there weren’t as many people on Thursday. Judging by the signs with the ticket numbers, there were only some 1600 people in the standing room plus how many ever there were up on the second floor seats. My friend and I had tickets numbered in the 1330s, but when we went in many people weren’t trying to get up as far forward as they could, so we ended up pretty close to the stage; I estimate some 25 feet (8 meters) away. We were close enough to be able to see GACKT’s face clearly and could see the sweat flying from his hair when he would head bang. The concert proper started on time. GACKT walked in carrying his sword and started “ZAN.” I couldn’t hear his voice very well and he seemed tired. He was staggering, but I couldn’t tell if he was stagger-dancing or just plain fatigued-staggering. (After seeing him Friday, I think it was from fatigue.) It wasn’t until the fourth or firth song, “LU:NA” that I could clearly hear his voice. I think it was after this that GACKT led the crowd in random shouting, first calling on the men, then the women, then finally just yelling “YFC! YFC! YFC!” over guitar feedback. 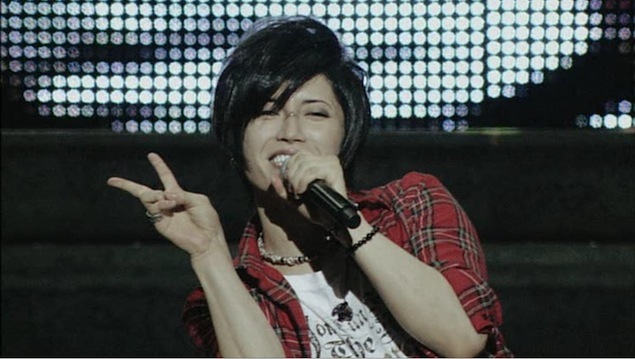 Then there was…GACKT shimmying during “EVER.” Oh. My. Savior. It was so cute, so adorable, yet utterly ridiculous. I was simultaneously thinking of the Chiquita Banana lady and Belscard, the antagonist GACKT voices in the MMORPG Dragon Nest for which “EVER” is the theme. There were several times during “Flower” and “Uncontrol” that GACKT put the mic down, I assume so that the audience would sing, but unfortunately, it was only during the first verse of “Flower” that the crowd actually did, or at least, that’s all I heard. I felt bad for GACKT. In general, I would say that the crowd wasn’t very frenetic. It was strange to see the older people (40s, maybe even 50s) just standing, watching without swaying or otherwise giving any sign that they were listening to music and enjoying it. Especially given that the “Rules for Private School Students,” which are the “rules” for participating in the live that among other things dictate that “students” (the audience) show their enthusiasm by yelling “osu” and “aniki”, etc, say that “the front is dangerous, if you can’t handle it, fall back!” and “only you can protect your body!” (translating loosely). I was expecting to see a mosh pit, but alas, there was no moshing. The fist/hand pumping was as violent as it got. The girl in front of me nearly hit me and my friend in the face a couple of times, and I stepped on someone’s toes when I jumped up and down without thinking. Thankfully, the weather was relatively cool, so it wasn’t hot in the hall. I could feel the air conditioning above my head, and even surrounded by all those people, it wasn’t unbearable. I was dressed lightly, but I don’t know how the girl in the maid outfit could stand it. Most people were dressed normally though, a plain shirt and capris, skirt, or shorts. My friend told me that the Japanese people around us had a look on their faces like “OMG are these people really screaming?” I did notice that the people in our section, with the exception of the boy to our right, really weren’t saying anything (even if their fist pumping was violent). The people closer to the front were better though. During the last song, “Uncontrol -Kyouki Ranbu edition-” the crowd once again left GACKT hanging when he wanted them to sing. Maybe a few people way up front sang for him, but I couldn’t hear them. At the end there was another screaming session of “YFC!” and what sounded like it was supposed to be a big cat’s “raow.” During the call outs for men and women, GACKT said 「やっぱり九州の男は強い！」(“As expected, Kyuushuu men are strong!”). I didn’t understand what he said about Kyuushuu women, but my friend and I woo’ed fiercely even though we’re not Kyuushuu women. LOL Then he asked the men if they would join him for another men’s-only live at the Budoukan, and asked the women if they would join him at Tokyo Dome. The assembled box with photocards inside. When we sat down to put our hauls into our bags, a Japanese fan approached us in English to try to sell some tickets for Friday’s show, but unfortunately all the people we called were either unavailable or couldn’t spare the money for not even the discounted tickets. Oh well, we tried. Friday I had arranged to meet some friends at the hall. I was waiting for them outside when it started to rain, so I texted them to let them know I would go on ahead. This time, my tickets were for the second floor, as standing room sold out either before tickets went on sale to the general public, or in the 10 minutes before I got to the Loppi to buy my tickets the day they went on sale. 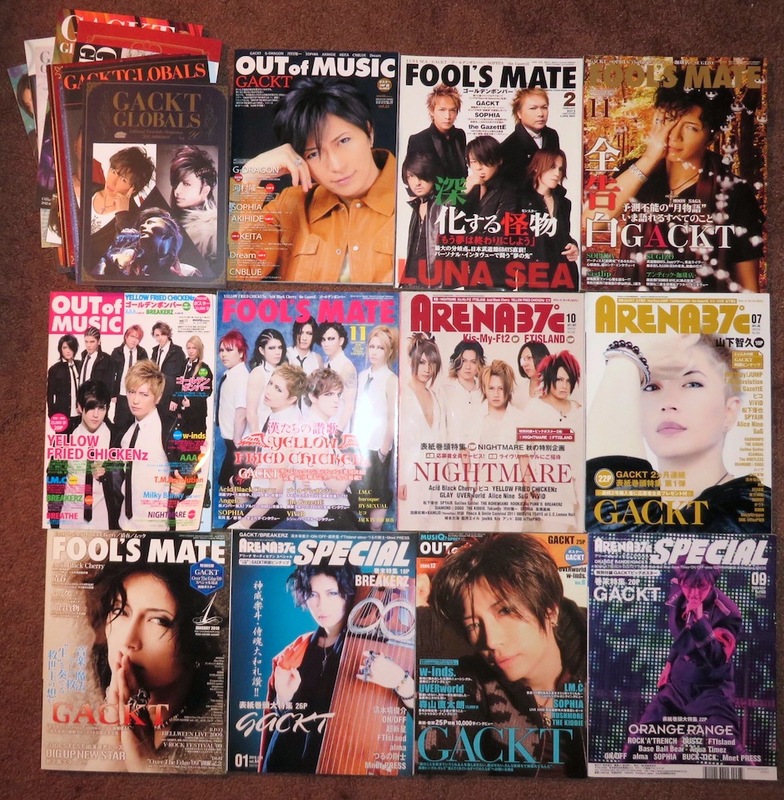 This time GACKT was ON from the very beginning. I could hear him clearly and he didn’t look tired at all, there was no staggering of any kind. I didn’t know whether to be relieved (i.e. “Yay! GACKT got some sleep and possibly ate something!”) or even more worried (i.e. “No! 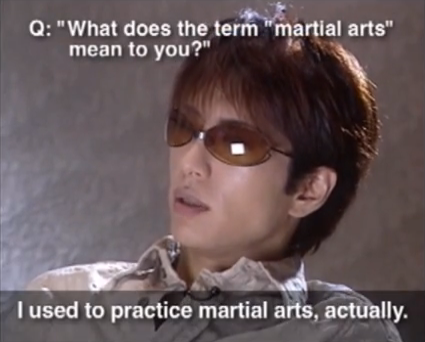 GACKT drank 10 espressos and took a fistful of diazepam!”). 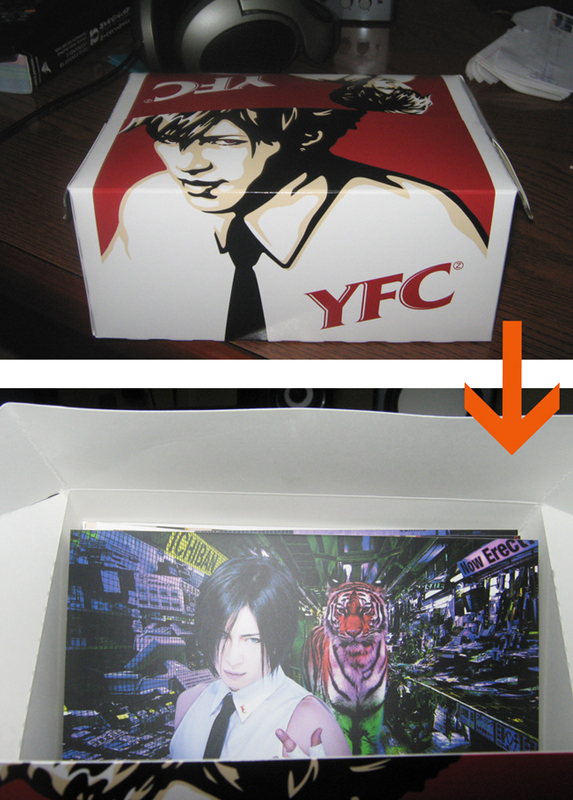 Now, Thursday night I’d had the urge to yell “KFC!” instead of “YFC!” but didn’t, but this time my friend said to me, “I really wanna yell ‘KFC’.” We tried to do it together, but it proved too funny and only got two out before it turned into “k–LOLOL kK F ahahaahahaa!” I also let lose and yelled 「福岡もっと叫びましょう！！！」(“Fukuoka let’s scream more!! !”) because it was really starting to bug me that the audience wasn’t trying very hard to get the band to come back out after the second to last song. I also did a yell that’s sort of like a Hispanic equivalent of a kiai; you hold a rolling-R at high pitch and let it turn into a laugh. Everything else was pretty much the same. At the end GACKT said something about how he was also a man of Kyuushuu (Okinawa is sometimes considered a part of Kyuushuu) and that Kyuushuu was the best. The message from backstage was similar, though I didn’t hear the threat of seppuku if the goods didn’t sell out. This time we actually had to wait in line to buy goods after the show, but no more than 10 minutes. I had meant to buy another face towel, since my bracelet caught on the one I had and pulled some threads out, but I forgot. I did pick up 5 bags of YELLOW FRIED CHIPz. My friends and I then went to Hard Rock Café (it’s right next to Zepp) to have dinner, but were so busy talking about the show that we didn’t even open the menu till the waitress came over to ask what we would like to drink. Whoops. After that we hopped on the subway, then went our separate ways. It was a great two nights! This afternoon, I woke up with everything sore. My neck from head banging, abs from clenching to scream louder, arms from pumping, legs from jumping, and throat from screaming. But I could be in more pain, so by GACKT’s apparent logic, I wasn’t serious enough! YELLOW FRIED CHIPz: Part of a balanced diet.